This year the OCS is delighted to welcome May Huang (Huang Wei) as our AGM speaker. In this lecture, May will discuss the discovery of Song dynasty kiln sites in Jinkeng village in 2014. Amid a long and rich history of ceramic production in ancient China, the Song dynasty (960–1279) has come to be regarded by art historians and archaeologists as representing the height of Chinese ‘taste’. Of all ceramics of this period, Qingbai ware may be considered to represent the epitome of Song taste, with its exquisite craftsmanship and superb quality. The production centre of Qingbai ware was officially established in 1004 A.D. during the reign of the Emperor Jingde, and was thus named Jingdezhen. May Huang will examine the Jinkeng village discoveries through her work of the past four years, including an exposition of how Qingbai ware evolved, and how Song potters in Jingdezhen organized the production of Qingbai ware. Taking Jinkeng village as a case study, May will further discuss the value of Song dynasty kiln sites in contemporary times. Under China’s current policy of rural revitalization, the archaeological project in Jinkeng village can reveal how scholars of ancient ceramics can integrate the preservation of cultural heritage into today’s mission of rural revitalization, thus revealing a very different story of Song ceramics. Before the AGM and lecture, participants are invited to join May Huang at the Art Museum, The Chinese University of Hong Kong, to view recent archaeological finds from Jingdezhen in the exhibition Refilling the Interregnum: Newly discovered imperial porcelains from Zhengtong, Jingtai and Tianshun Reigns (1436–1464) of the Ming Dynasty, jointly presented by the Art Museum and the Jingdezhen Imperial Ware Museum, and curated by Dr Wang Guanyu. Featuring 158 items dating to this period of political instability, this exhibition sheds new light on the artistic achievements of the Interregnum. Based in Jingdezhen and Beijing, May Huang is currently a PhD candidate at Tsinghua University in the Academy of Art and Design. She is also co-founder of the Dongjiao Institute for ceramic studies. She holds an MA from Peking University and has published numerous articles in Wenwu and other publications. She has extensive field experience in archaeological excavations. 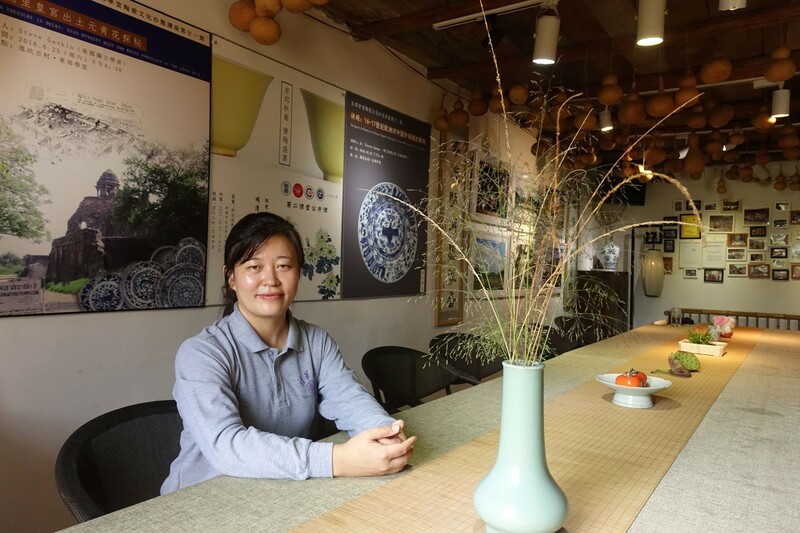 In 2008 and 2013 she received the Jingdezhen Ceramic Institute’s award of Exemplary Teacher. She regularly lectures for the Oriental Ceramic Society of Hong Kong, the Oriental Ceramic Society in London, and for the Min Chiu Society.